For the past two mornings, Eugene has forgotten to bring his savory breakfast muffin to work. I baked him a batch on Monday, wrapped them up individually, and then put them in the fridge for him to grab-and-go. Except that he's just been go-ing, without grab-ing. 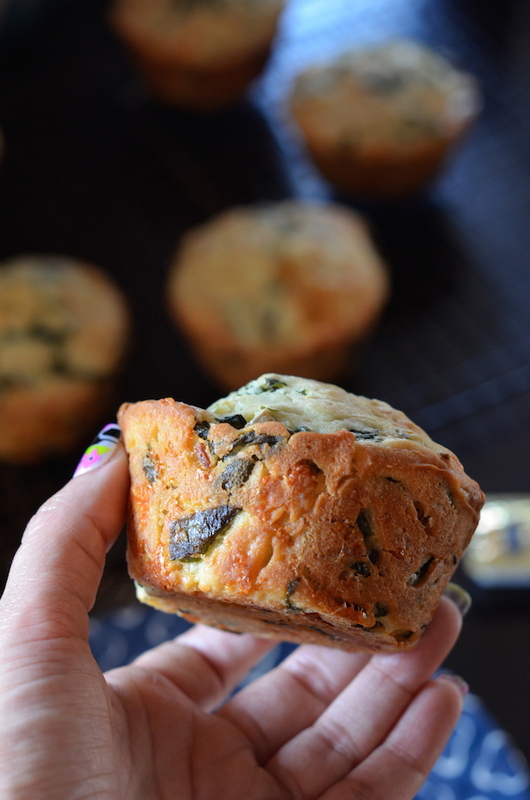 If you decide to make these Savory Ramp and Cheddar Muffins, I urge you not to make the same mistake. 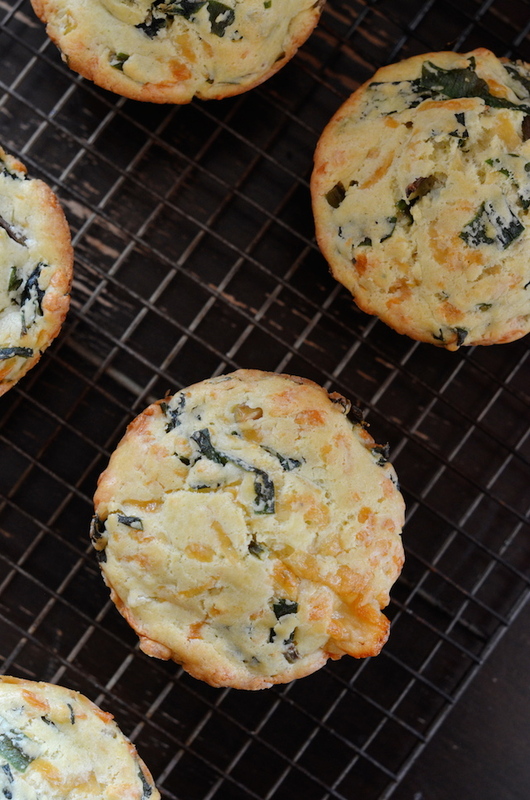 These wonderfully buttery little cakes are packed with loads of freshly grated cheddar cheese and lightly sauteed ramps, and are WAY too good to leave behind. 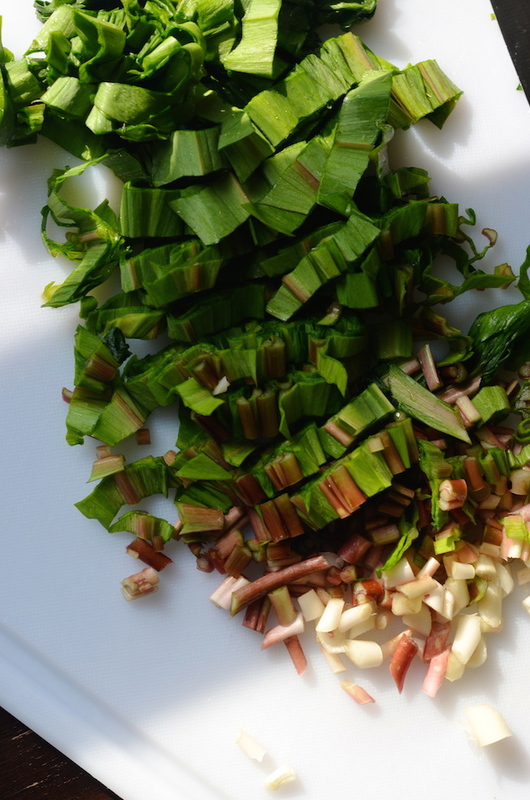 Ramps are a wonderful thing, but they're rare and only available for about 5 minutes a year, so please feel free to substitute scallions, chives (leave them uncooked) or even sauteed shallots. A touch of something onion-y is all you need! For the cheese in my muffins, I used a gorgeous Alehouse Cheddar from Vermont Farmstead--a small company that produces some truly beautiful cheese and crackers. They're providing some of the snacks for the Memorial Day Culinary Retreat I'm co-hosting later this month, and were kind enough to send me some to play around with while I plan my menu. 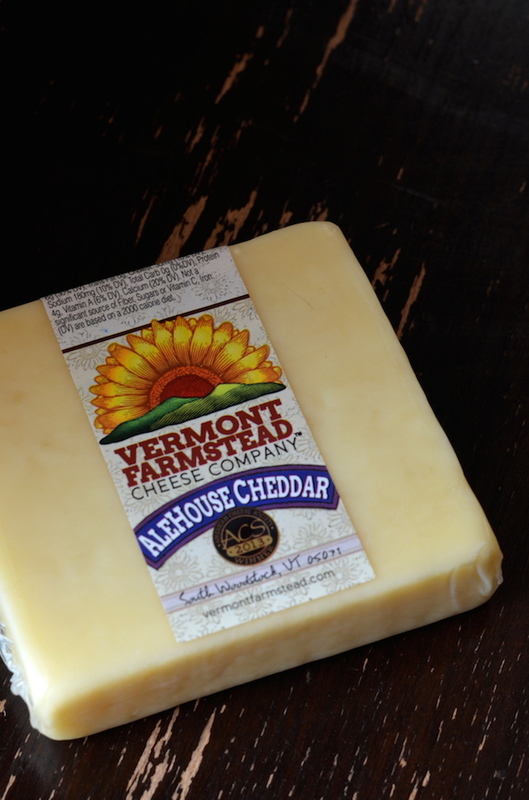 This sharp cheddar with just a touch of beer flavor is fantastic in all kinds of savory dishes. 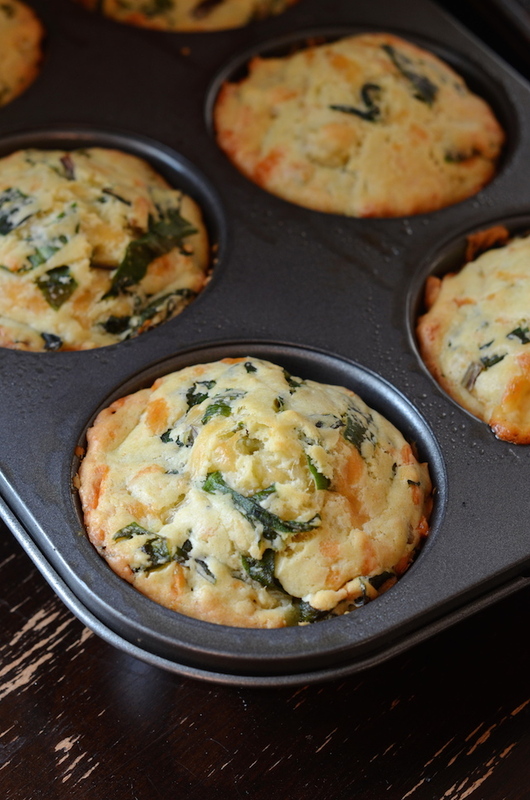 These muffins, of course, but also grilled cheese sandwiches and soup. Oh and back to these muffins. These come together quickly--no need for a mixer--and can be enjoyed hot out of the oven with tons of butter, or later on at room temperature. I called them breakfast muffins, but they honestly would be amazing served along with a soup and salad, or in place of a roll with dinner. I'm also tempted to split one in half and add a bit of ham for a muffin sandwich. Preheat oven to 350 degrees. Generously grease a 12-cup muffin pan (or a giant 6-cup muffin pan). Heat 1 tablespoon butter in a large skillet over medium-high heat and add ramps. Saute for 2-3 minutes, just until slightly wilted. Remove from heat and set aside. In a large bowl, whisk together egg, milk, broth, olive oil, sugar, salt, and mustard. Add flour and baking powder and stir gently until evenly combined. Fold in grated cheese and cooked ramps. Divide into prepared muffin pan, and bake about 20 minutes, or until puffed up, golden around the edges, and a tester inserted in center comes out clean.